The transfer window means football is rarely off the newspaper back pages in the off season. Much ink has been already been devoted to the question of whether Spurs' Welsh international Gareth Bale will join Real Madrid. Despite their interest in Bale, Real have already flexed their muscles in the transfer window by signing young Spanish stars Isco (pictured playing for Malaga last season) for $40m and Asier Illarramendi from Real Sociedad for $51m. 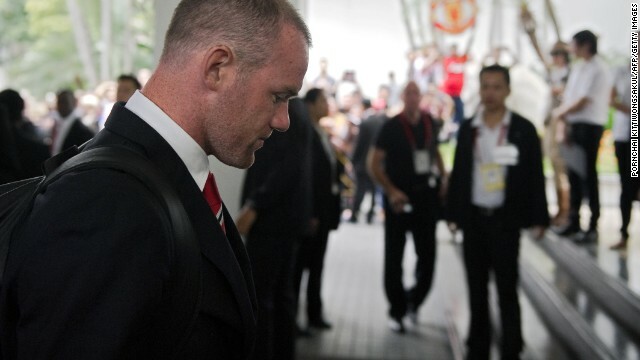 Wayne Rooney's future as a Manchester United player continues to be in doubt after Chelsea declared an interest in signing the England forward. 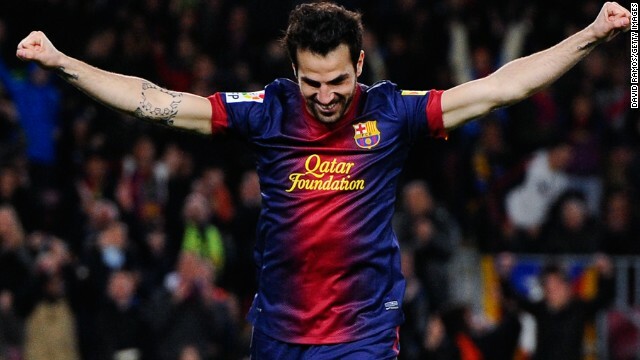 Meanwhile United have made several unsuccessful bids to sign Barcelona midfielder Cesc Fabregas, who before rejoining the Catalan club had played for Arsenal. United's rivals Manchester City have been active in the transfer market signing Fernandinho for $45m, Stevan Jovetic ($33.5m), Alvaro Negredo ($25m) and Jesus Navas ($23m). 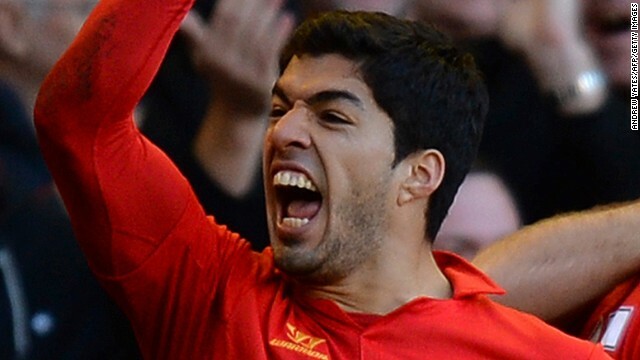 Liverpool are facing a fight to keep hold of striker Luis Suarez. The Uruguayan forward has openly talked of wanting to join Real Madrid, while Arsenal have made a number of bids for Suarez. 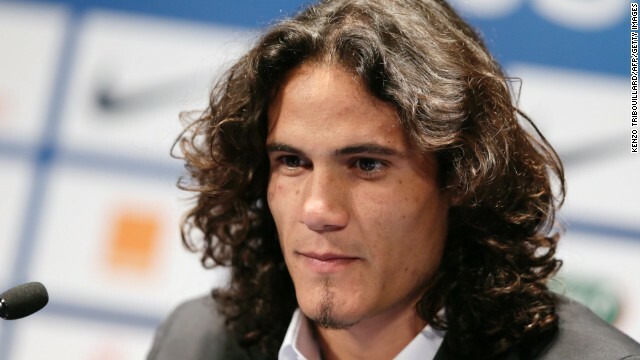 Another Uruguayan international Edinson Cavani has changed clubs during the transfer window. Cavani signed a five-year deal with French champions Paris Saint-Germain for a reported French record fee of euro 64 million ($84 million). After Cavani joined PSG, Napoli used some of the money to sign Argentine international Gonzalo Higuain from Real Madrid. 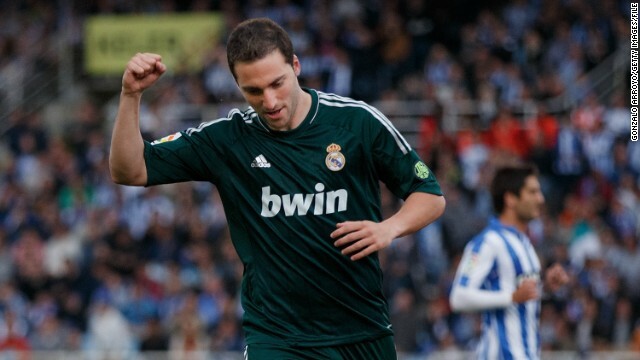 Higuain, who is reported to have cost Napoli in the region of $50 million, spent six-and-a-half seasons at the Bernabeu and scored a total of 107 goals in 187 appearances. PSG are not the only French club spending big. 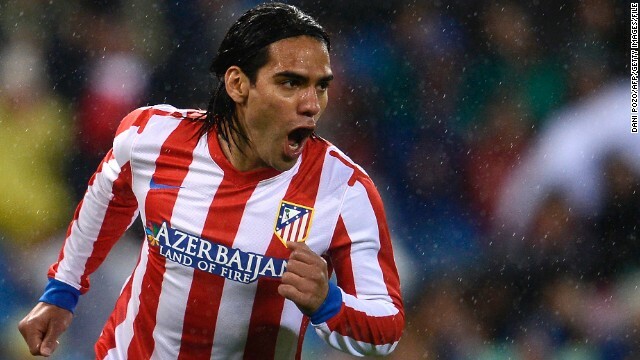 Monaco served notice of their intent to challenge at the top of world football by completing the signing of Atletico Madrid striker Radamel Falcao. 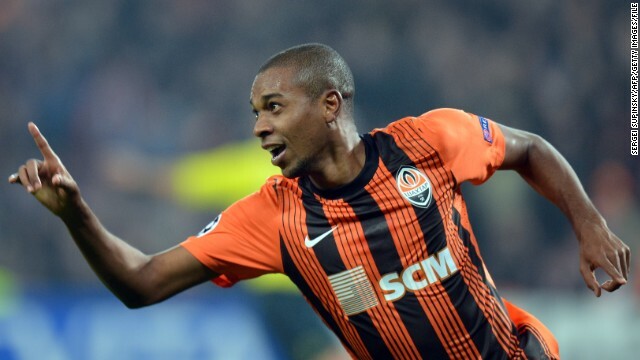 The transfer fee wasn't disclosed by Monaco, but it was reported to be almost $80 million. Prior to signing Falcao, Monaco's owner Dmitry Rybolovlev -- worth $9.1 billion, according to Forbes -- funded the transfers of Porto pair Joao Moutinho and James Rodriguez for $90 million. Barcelona's Gerardo Martino says the size of the reported fee "lacks respect"
(CNN) -- Gareth Bale's imminent transfer to Real Madrid for a reported world-record fee has been criticized by Barcelona coach Gerardo Martino. With Spain struggling amid a tough global economic climate, Martino questioned the appropriateness of Real spending on just one player a figure reputed to be at least $125 million and possibly as much as $145 million. "He's a very good player, but the numbers seem to me almost a lack of respect for the world in general," the Argentine told reporters on Saturday at a press conference ahead of Barca's trip to Malaga. Bale, who plays for English Premier League club Tottenham, is next week expected to be unveiled as Real's fifth world-record signing since 2000. Read: Is Gareth Bale worth $120 million? It will reportedly happen after Madrid, seeking to win back the La Liga title from Barca, play Granada on Monday in the club's second game this season. Barca spent $75 million to sign Neymar from Santos in June, but Martino said the Brazil striker is not guaranteed to start Sunday's match in Malaga despite the absence of the injured Lionel Messi. The four-time world player of the year is being rested as a precaution after suffering a bruised thigh in the first leg of the Spanish Super Cup against Atletico Madrid last Wednesday. "Honestly, I am not worried because I think he is fine," Martino said of his compatriot. "What happened the other day was coincidence. I think it is totally unnecessary to take risks at the start of the season." Neymar came off the bench to score the equalizer against Atletico, but Martino played down expectations surrounding the 21-year-old. "I don't share this idea that says that Neymar must take over and take the lead if Messi is not there to do it," he said. "We have Xavi, we have Andres Iniesta, Cesc Fabregas, Alexis Sanchez, Pedro. There are too many players to expect Neymar to automatically be in the starting line-up. "Nothing is going to shorten the time we think is necessary for Neymar to be ready." Bale has reportedly already traveled to Spain, and will not play in Tottenham's home match with Swansea on Sunday. Javier Pastore is the most expensive player in French football history after he cost Paris Saint-Germain a fee believed to be $56 million. 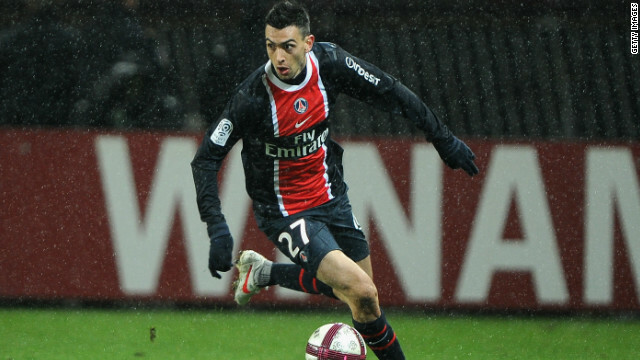 But Pastore is not the first footballer to have swapped clubs for a hefty price tag. Fernando Torres swapped Chelsea for Liverpool on the final day of the January 2011 transfer window. After moving for a British-record transfer fee, believed to be in the region of $80 million, Torres has scored just five goals in a little over 12 months with the club. In 2001, Real Madrid broke the world transfer record to bring FIFA World Player of the Year Zinedine Zidane to Spain from Italian club Juventus. The fee for the French World Cup winner was reported to be €86.5 million ($115 million). Real broke world transfer record again in June 2009, paying a reported $100 million to lure Brazil's Kaka away from Italian club AC Milan. 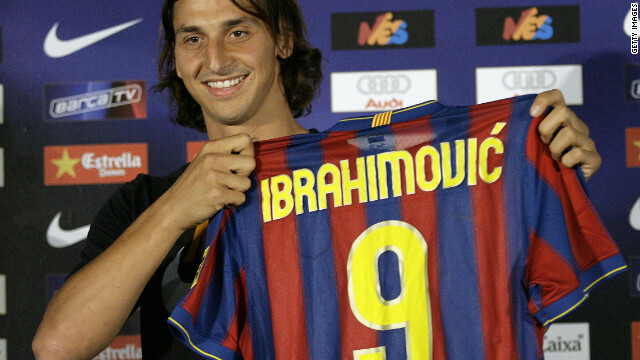 Zlatan Ibrahimovic moved to Real's archrivals Barcelona during the same transfer window. Barca paid Inter Milan a reported $65 million for the Sweden striker, but he lasted only one season before returning to Italy with AC Milan. Kaka's time as the world's most expensive player was short, with Real smashing the transfer record once again to sign Cristiano Ronaldo from Manchester United for a reported $130 million. The 24-year-old Wales international, who became the most sought-after talent on the planet following Neymar's decision to join Barca, also missed the London club's opening match of the EPL season last weekend. Spurs have twice broken their club transfer record in apparent preparation for Bale's departure, signing Brazil midfielder Paulinho and Spain striker Roberto Soldado, while a $45 million deal for Willian was hijacked by Chelsea despite the Anzhi Makhachkala player having passed a medical at White Hart Lane last week. In Saturday's EPL action, Liverpool joined Chelsea on two wins from two games after beating Aston Villa 1-0, as striker Daniel Sturridge followed up his goal from the opening victory over Stoke. Arsenal, beaten by Villa last weekend, relieved the pressure on manager Arsene Wenger by defeating London rivals Fulham 3-1 as Germany forward Lukas Podolski scored twice and France striker Olivier Giroud netted the other for the visiting team. Former Villa and England striker Darren Bent marked his Fulham debut with a goal after coming on as a second-half substitute, but Arsenal notched another morale-boosting win ahead of the second leg of the Champions League qualifier against Fenerbahce -- having won 3-0 in Turkey last Wednesday. Everton drew 0-0 at home to West Brom, and there was also a stalemate between Newcastle and West Ham, while Southampton hit back to hold visiting Sunderland 1-1. Hull beat Norwich 1-0 but fellow promoted side Crystal Palace crashed to a second successive defeat, losing 2-1 at Stoke. In La Liga, Valencia crashed 3-1 at Espanyol despite taking the lead through Portuguese forward Helder Postiga. David Lopez headed a 33rd-minute equalizer before second-half goals from Cristian Stuani and Thievy Bifouma sealed victory for the Barcelona-based team. Real Sociedad came back to earth with a bump following last week's 2-0 win over Lyon in the final Champions League qualifying round, being held 1-1 at promoted Elche. Mexico striker Carlos Vela saved Sociedad with a second-half leveler following Ferran Corominas' second-minute opener.